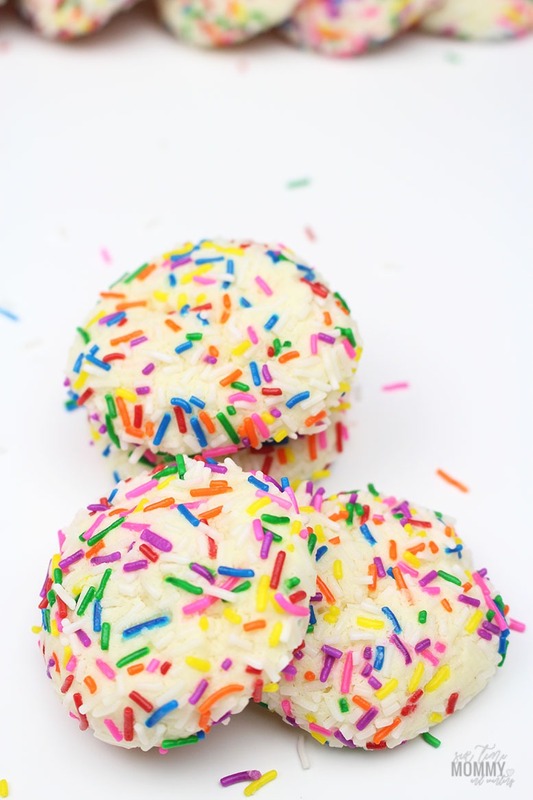 Okay, so we’ve established I love cookies but what you may not know is I also love sprinkles. I’d add them to everything I ate if it were appropriate. What are they appropriate on? 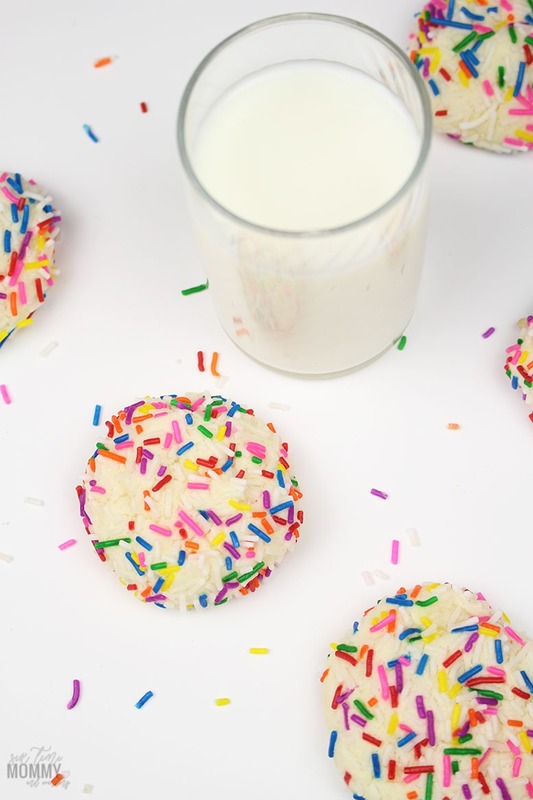 These yummy Soft & Chewy Sprinkle Cookies of course! These cookies are so simple to make and you could, in theory, use your very own favorite cookie recipe but I will share with you the one I used because not only is it delicious but it’s really addicting and why should we all share in the love of delicious addicting cookies? Let’s eat them together, shall we! Now, the best part about these cookies is the kids LOVE them too. So you can fill your cookie jars with them or have them in a container in the fridge for the kids to grab on the go. 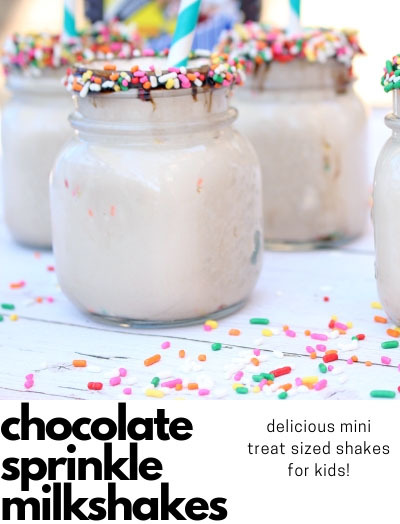 Make mini cookies out of these which is PERFECT for kiddos, using a teaspoon of batter. 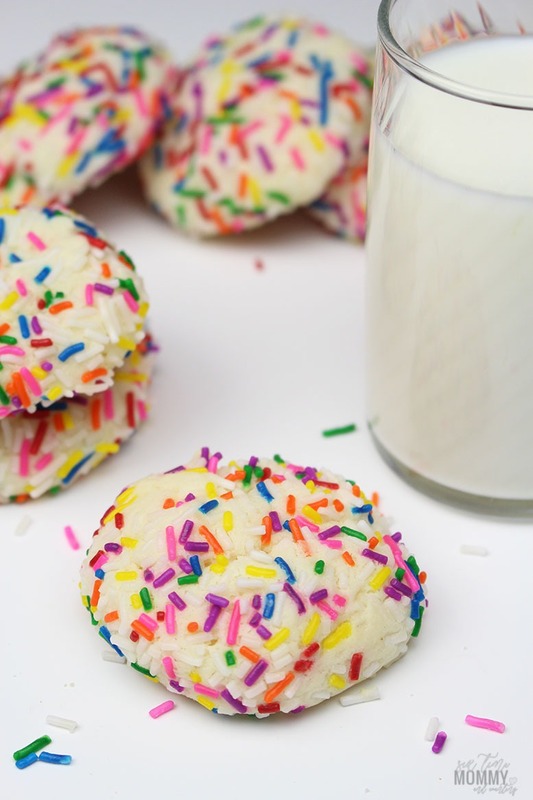 I know personally I love throwing in something as a treat for my kid’s lunches and mini cookies like these make the perfect little addition, and it’s not too much to have them really hopped up on sugar! They’re great! Can I use any other sprinkles? Of course! 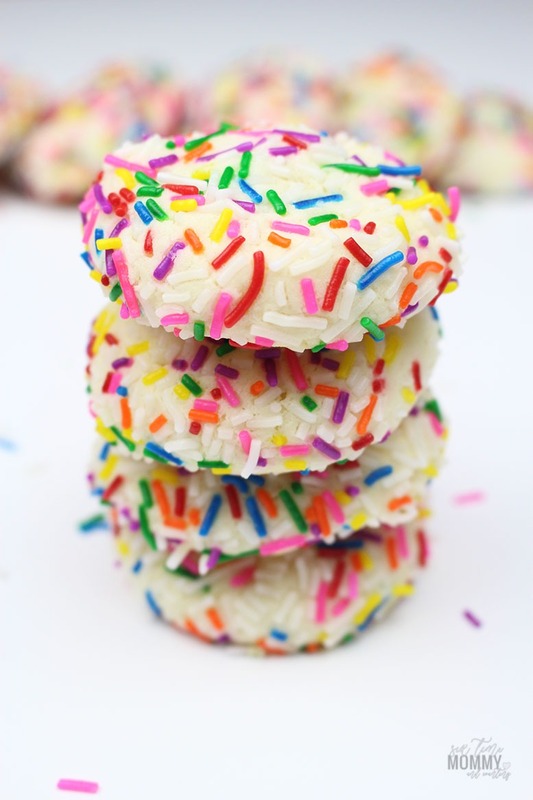 You don’t have to use the classic sprinkles I used, I just used them because they are my favorite. 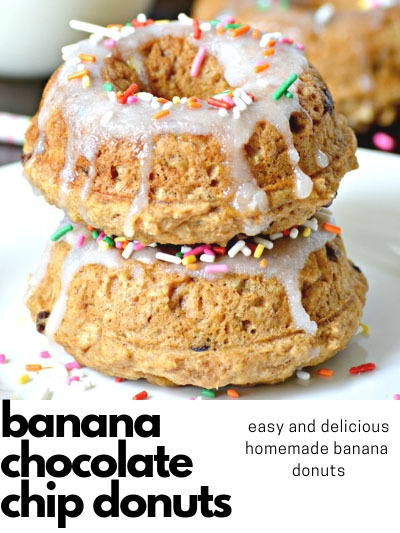 You can use any type you wish and they’ll still turn out just as fabulous and delicious! Can I roll them out and use a cookie cutter? You can! 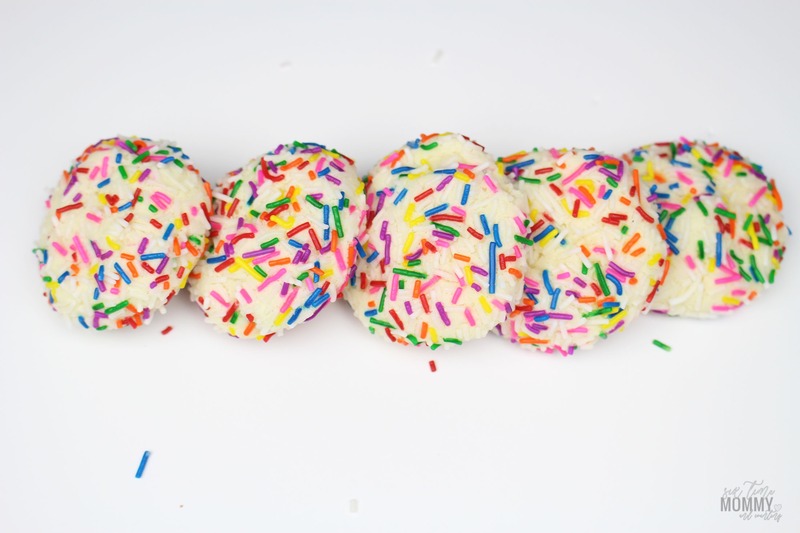 So once you’ve rolled out your dough and you cut out your cookies carefully place them on your sprinkles on both sides and press down lightly. 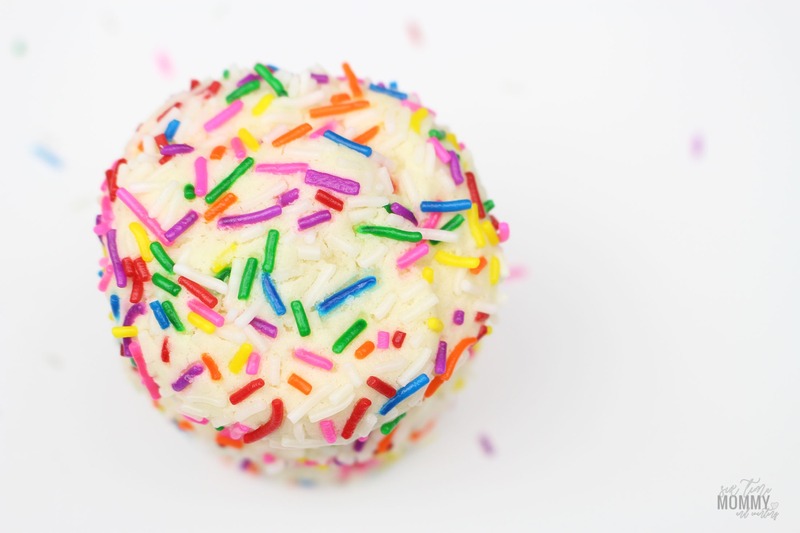 Make sure you coat the top and bottom with sprinkles!